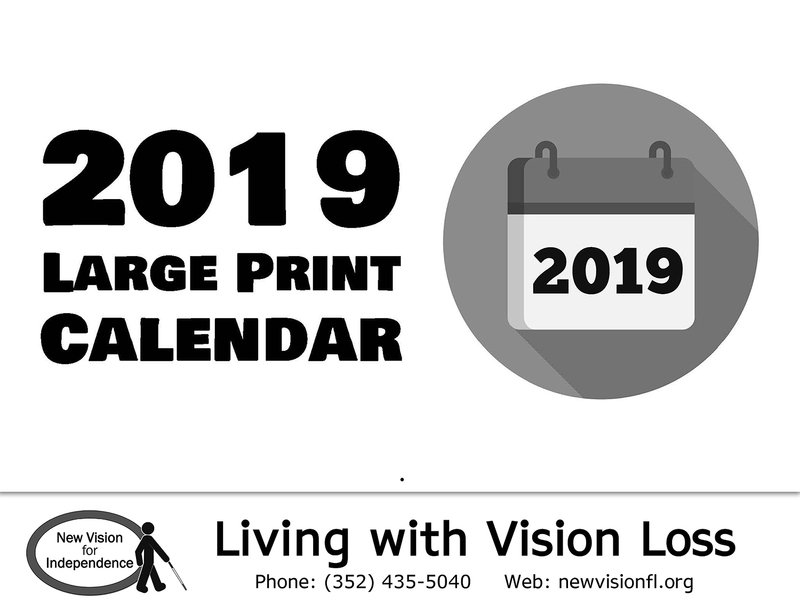 New Vision’s 2019 large print calendars are now available! 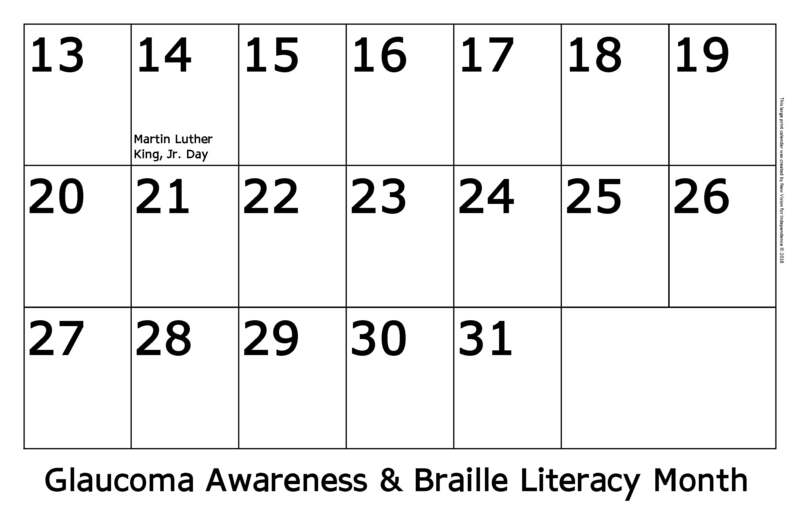 These calendars are 17″x11″ when closed, bound at the top. 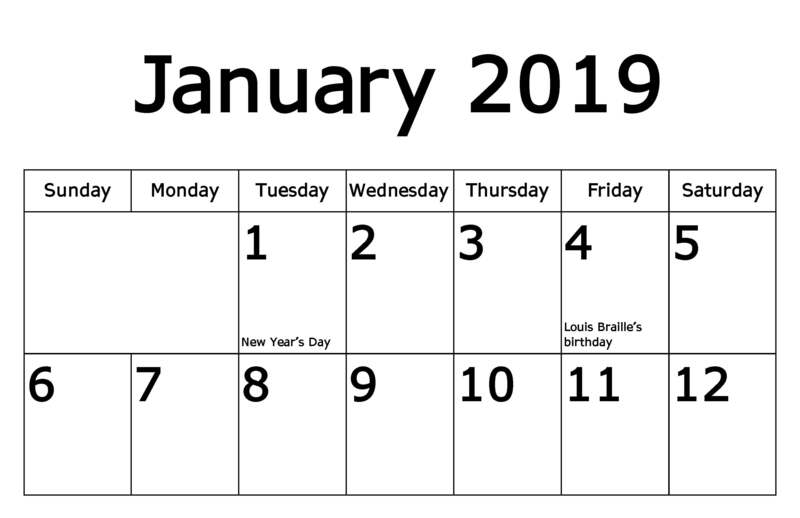 When open, the calendar is approx. 17″x17″. Thank you to our funding partners!